(1.) 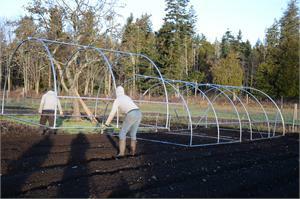 The First Hand Portable Modular Greenhouses. (2.) Easily move them around your garden space as needed. (3.) Scissor door allows maximum air flow. (4.) Snap on poly clips ensure quick application and removal of covering. This item comes with enough connectors and the bending tool to bend and build three (3) 8' wide X 10' long round top hoop houses using 1" emt tubing . 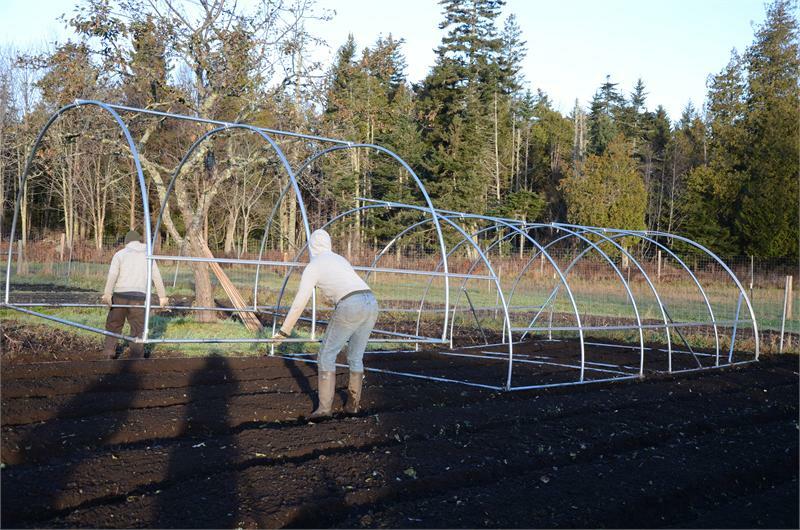 These hoop house units are designed to be 10 feet long so they are hand portable, they can be clamped together end to end using plain stainless steel hose clamped from any hardware store to create any length hoop house you want.